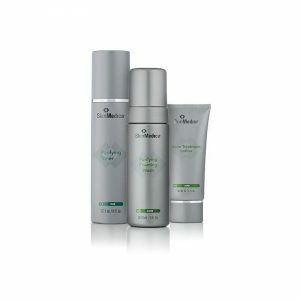 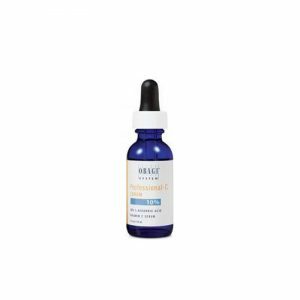 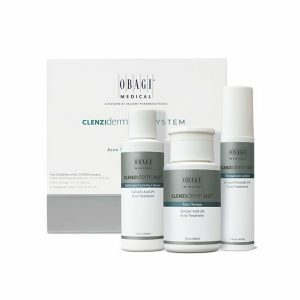 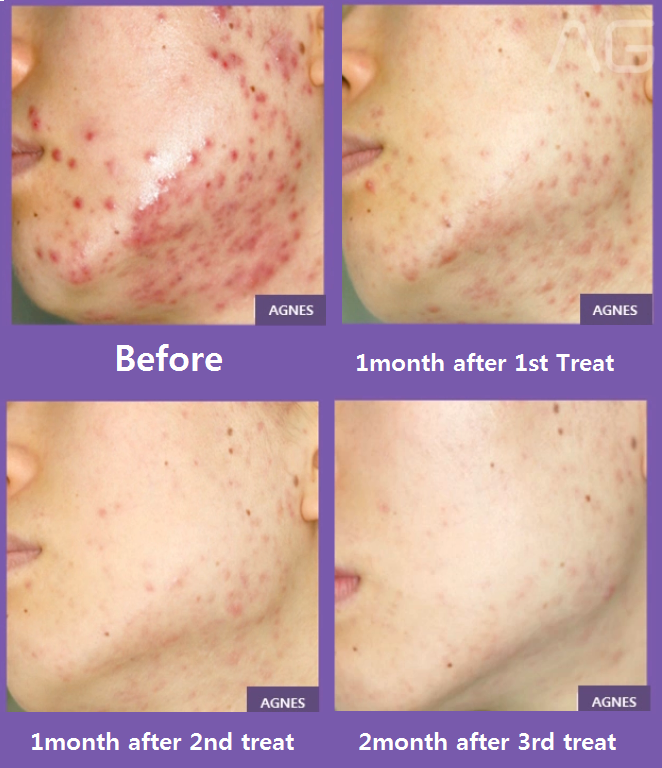 Do you have a solution for chronic relapsing Acne? 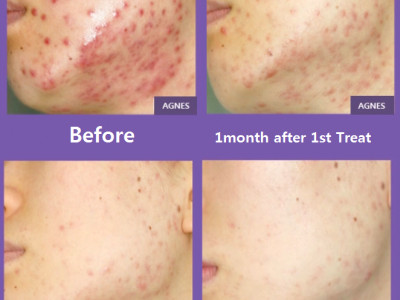 The most significant benefit of AGNES treatment is it destroys sebaceous glands selectively without thermal injury of the epidermis. 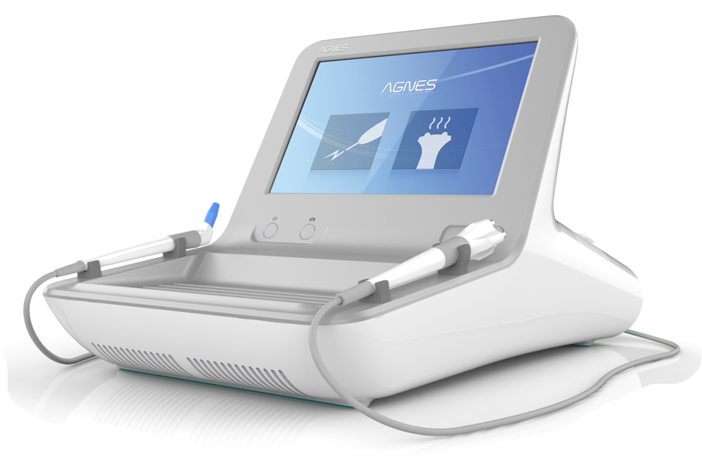 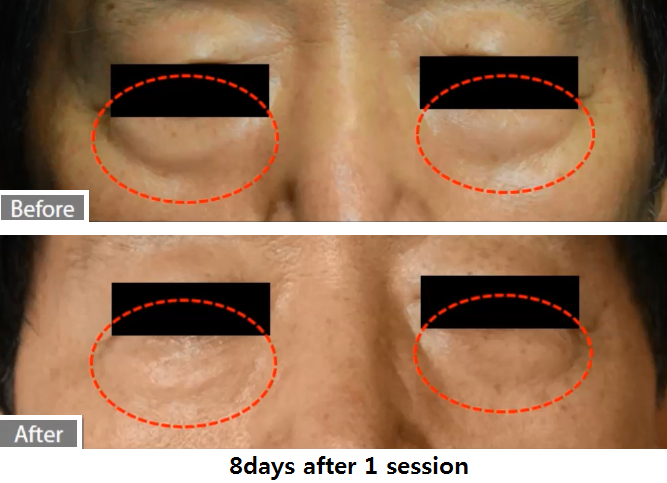 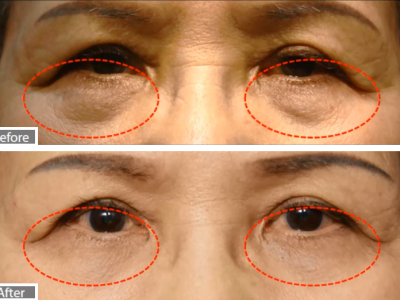 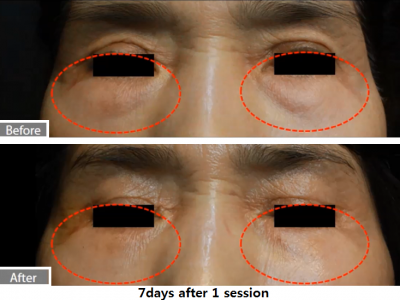 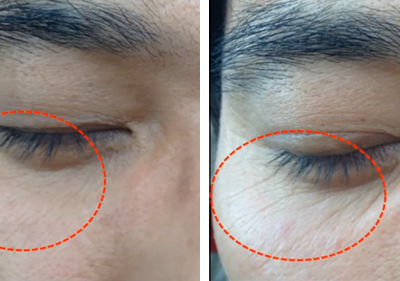 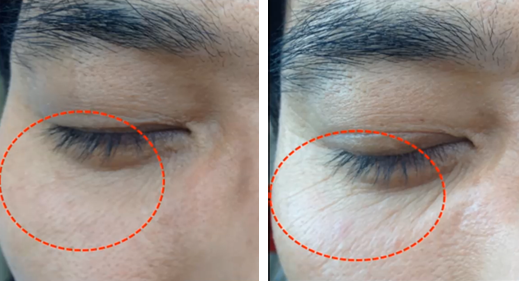 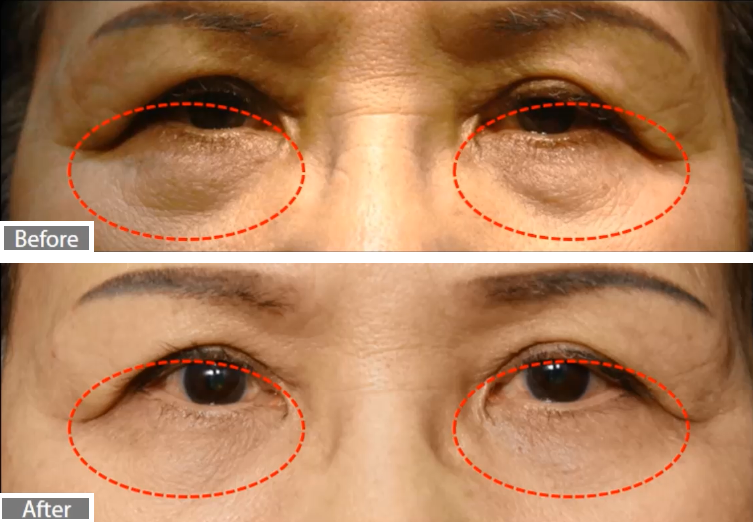 Radio frequencies are emitted to break down the fiber coagulation deep inside scars to stimulate new collagen production. 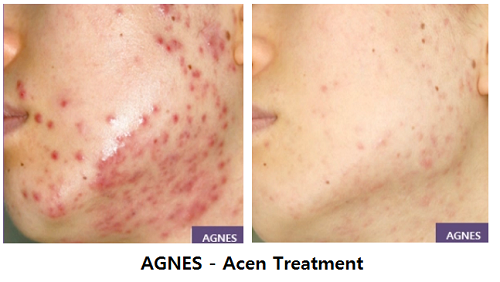 Chronic acne usually reoccurs in the same areas so the great benefit of AGNES is that the patient’s acne never comes back. 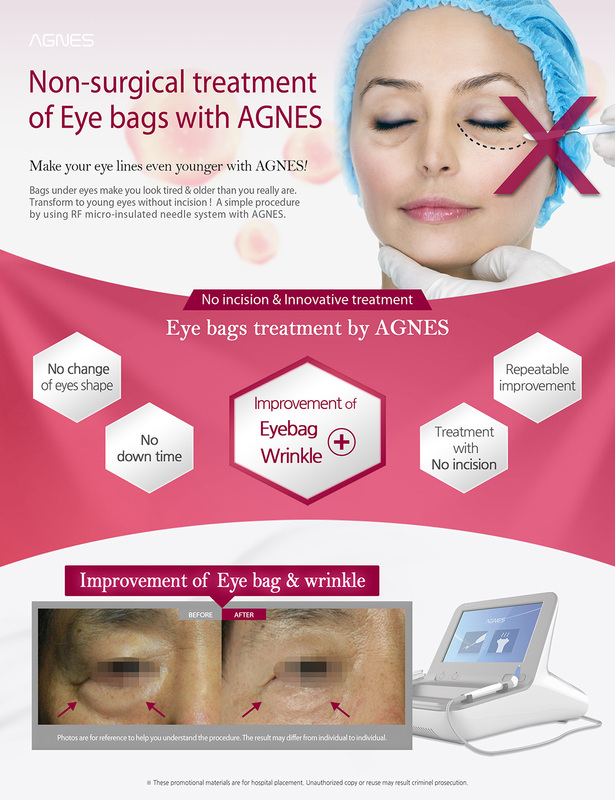 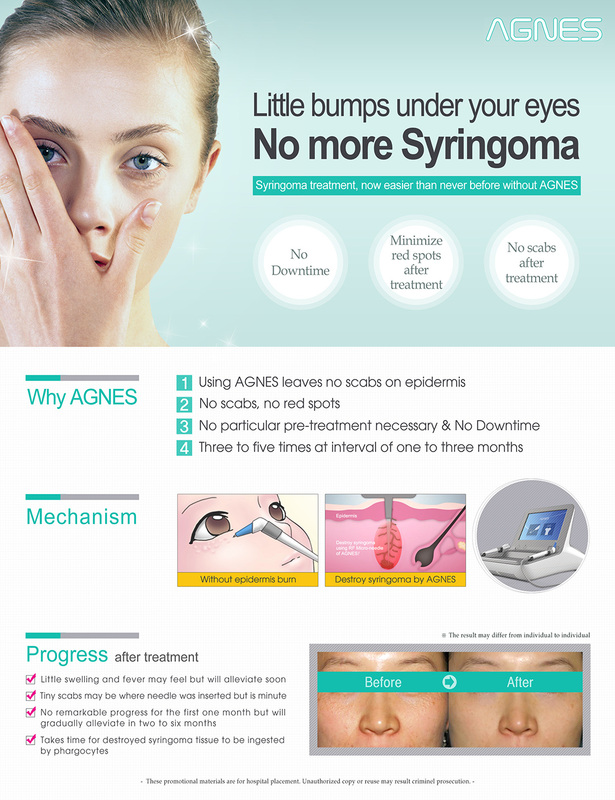 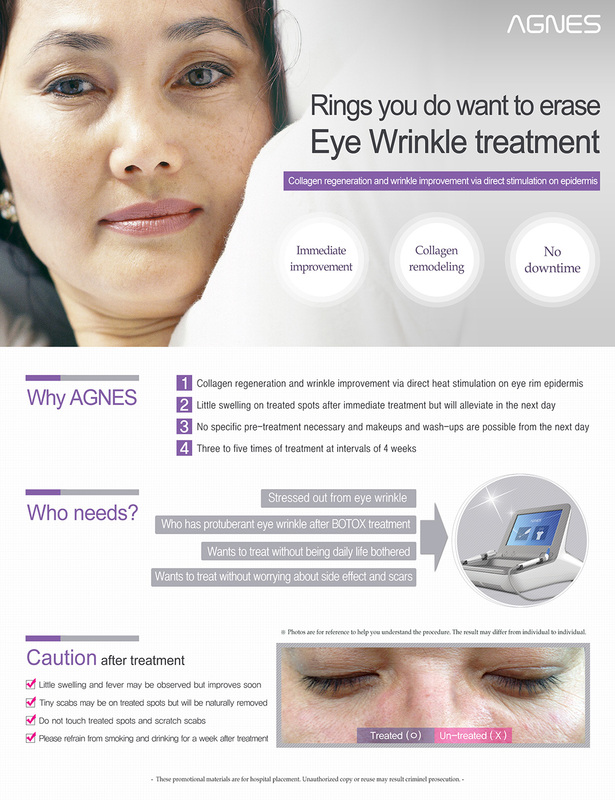 AGNES treatment requires 3 steps. 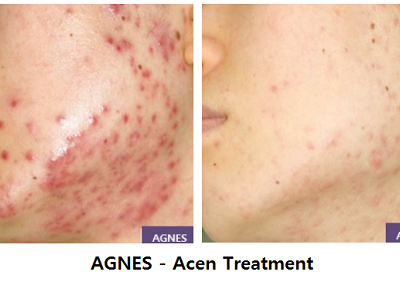 First, deep cleansing is required to prepare before AGNES including extraction of blackheads or pus. 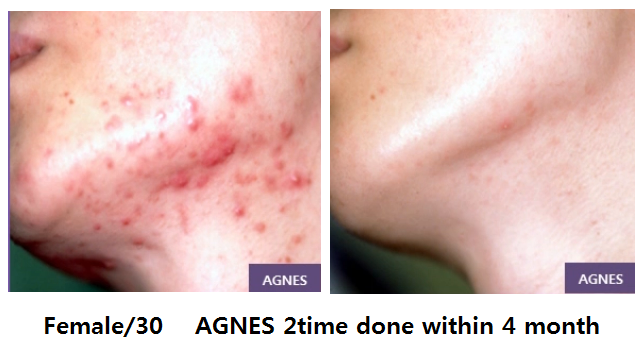 Then, the AGNES treatment is preformed on targeted area. 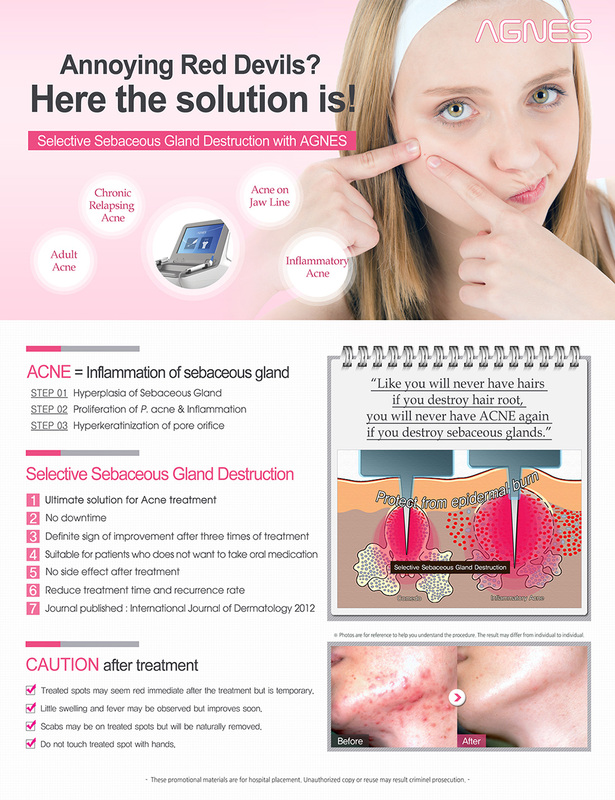 Lastly, there will be another extraction of sebum debris. 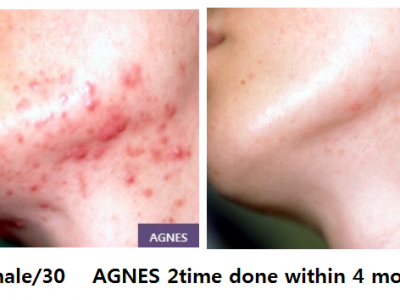 AGNES helps the debris melt and transform into a state that can easily be extracted. 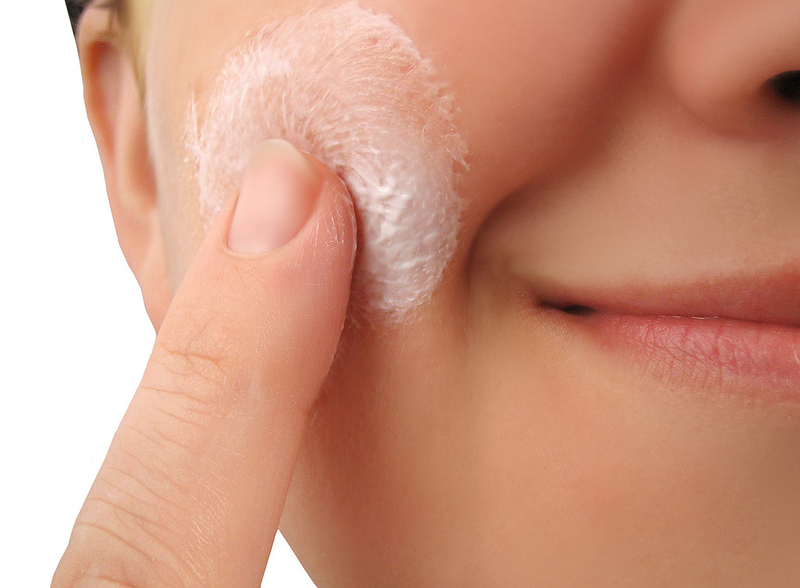 It is a really important step in preventing inflammation from leftover debris and exudate formed from the destroyed sebaceous glands.